They’re the first to announce the arrival of a crisp winter and then, they are around for months. Chrysanthemums lead the list of winter lovelies by a long shot. Chances are, you’ve picked your pot of mums up from a nursery. If they’re homegrown from last year’s crop, you know enough about ‘mums’ anyway! If you’re a greenhorn gardener, fret not. Chrysanthemums sell so widely across the world because they are among the easiest to grow and take care of. There are mums and there are mums. In fact, there are dozens of varieties of this beautiful flower. The first thumb rule is to ask the nursery a few vital questions before you bring any plant home. Ask about sun-friendliness, thirst, hunger, pruning or pinching. The second thumbrule about these sunny flowers is that they love sunshine. So place them where they can get at least four to six hours of good sunlight. Many of us kill off our plants with too much love. We water them without finding out how much water the plant demands and whether it requires water when we think it does. Chrysanthemums like the ground moist, but never make it soggy. A proven way to do this would be by sticking a finger into the soil before you lift the watering can. As you water, pour in a little, then wait and watch the water soak in. Keep in mind that most nurseries will offer you a plant that stands in potting mixture rather than conventional soil. Potting mix is more porous and the water will trickle out. You don’t want too much water to flow out, either, since it will take away with it nutrients that are vital for the plant. 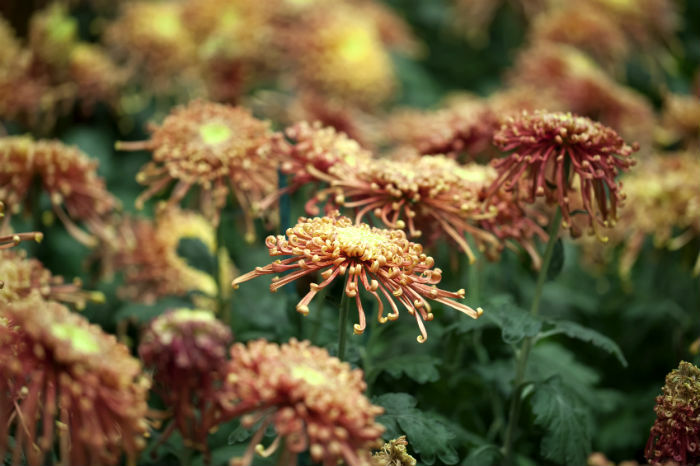 Chrysanthemums need to be fed nutrients when they are growing. But since most of us buy our mums when they are budded or flowering, you can afford to go easy on the nutrients. If the cheerful flowers and the relatively easy care specifications lead you to believe that chrysanthemums are the perfect plant, you cannot be faulted. However, watch out for pests. Aphids and mites are common. So are caterpillars, especially towards the end of the flowering season. Too much water may lead to root rot from which the plant may never recover. Now, to share a secret about those bushy chrysanthemums. Perhaps you have wondered how many plants there are in one pot till you realise, it’s up to a hundred flowers on one plant! From the time the plant has six leaves or is about six inches high, begin pinching off the tip. Continue this at regular intervals. Every time you pinch one tip, it will throw out two or more. 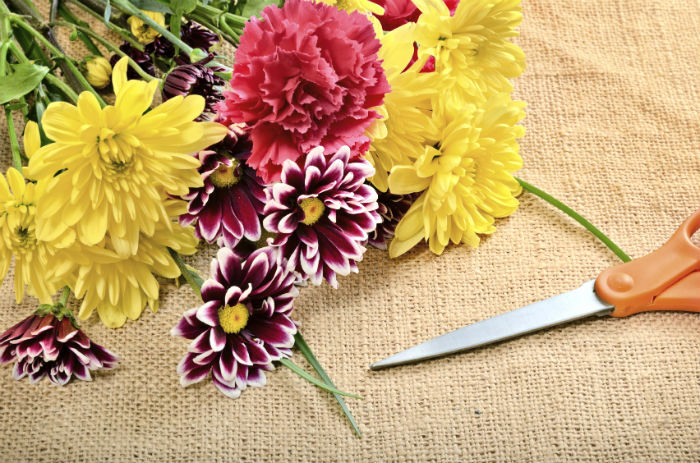 Snip off or de-head dry flowers to cajole the plant into throwing out more flowers. Be careful to use a clean, sharp pair of scissors when you snip the plant. 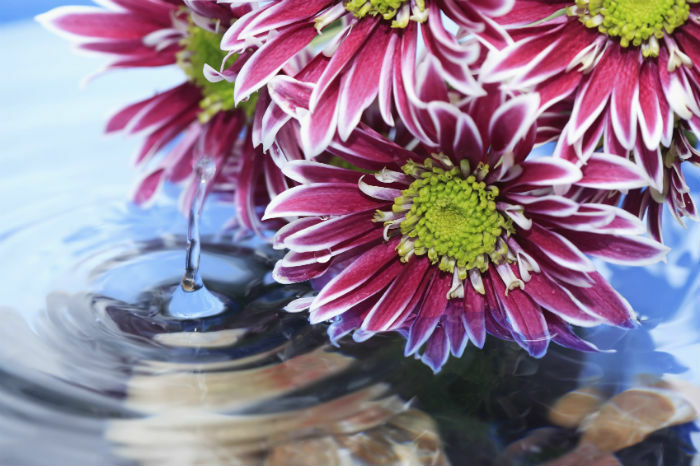 Pots of chrysanthemums are often brought indoors of an evening as room decor. That’s a great health bonus since, according to research, chrysanthemums are one of the plants that can remove pollutants from the atmosphere including dangerous formaldehyde and benzene. Many of us fall so deeply in love with our chrysanthemums that we can’t get ourselves to pitch the plant out when the flowers finish. Cut back the stems as the flowering season ends. Repot in a tub a size larger using the same composition of potting mixture. You can pick that up easily from the nearest nursery. Permit the plant to start growing about two months before budding season in your region. Enjoy the flowers! They can be grown from seed. They can also be grown from cuttings. Frost and snow kill them off. 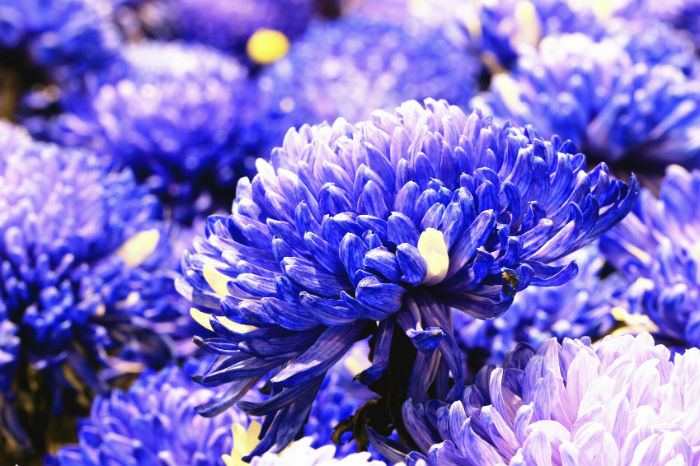 The chrysanthemum is gifted as a symbol of motherhood.